FASHblogger's journal about all things in life, love, lust, labels, and lots of chat! If this sounds like a mad idea, I hear you, but take it from yours truly, it works! Then I remembered a baking soda and vinegar rinse that I heard of many moons ago. I researched it on the old laptop-aroony, and found mixed results, some people loved it, some loathed it. I thought it really worked a treat, once I got over the weird sensation of not having a traditional foaming shampoo! Once my hair was dry it felt lighter, they're was definitely more volume and it looked brighter too.....yippee! No more heavy roots! But how does this home hair clarifying work? 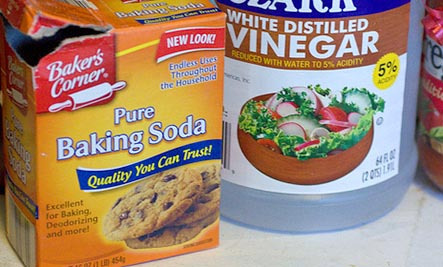 Baking soda is a base (alkaline), and vinegar is an acid. These two cancel each other out when put together, and creates a cool volcano! But it also creates water with a PH value of 7, the same as our skin. With me so far??? So like shampoo and conditioner working together, so also does baking soda and vinegar as it re-balances our scalps PH, and as the reaction occurs, it removes the build up of products on our scalp and in our hair. The baking soda removes the build-up because it is like a really strong shampoo without the foam. The vinegar, as an acid, acts like a conditioner, smoothing the hair follicle, and closing the pores on the hair strands. 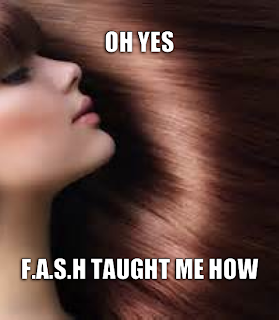 The method is the exact same as regular shampoo and conditioner. I just put two tablespoons of baking powder in an old shampoo bottle and fill with water, and then two tablespoons of vinegar in a conditioner bottle, and hey presto, my own hair clarifying set ready to use once a week! Here is another "recipe" to make your own hair clarifying set!.Try it out and let me know if it works for you. Follow on Facebook and Twitter for extra news and updates! that's gas! love this! will subscribe now! Follow by Email,,,you know you want to!